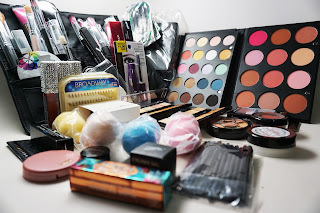 Home alcone give-away giveaway graftobian make up for ever makeup giveaway ofra cosmetics sedona lace $1000 Makeup Artist Starter Kit Giveaway! So I've been working on this huge giveaway for months! I wanted to hype it up with my Updated What's In My Makeup Kit video series on YouTube. And you know I love a reader giveaway! Today I'll be giving a very lucky Makeup Artist their very own, professional makeup kit to kick start their career. Best of luck to everyone! Having the makeup kit isn't everything. If you're interested in further investing in your education, sign up for the next Makeup Artist Pro Certification Course at Industry Makeup Academy. Classes are available in the day, night, weekend or En Espanol. We are also launching our USA Pro Road Show and coming to cities near you! To learn more visit http://www.ima-atlanta.com and use coupon code REN16 for a discount off registration!